The time-limited heroes have drawn so much attention of battlers from all the Camps since their appearances in Spirit Guardian. Some of the elite players expect that those heroes could be more powerful and thus to reflect their core values in the Camp. 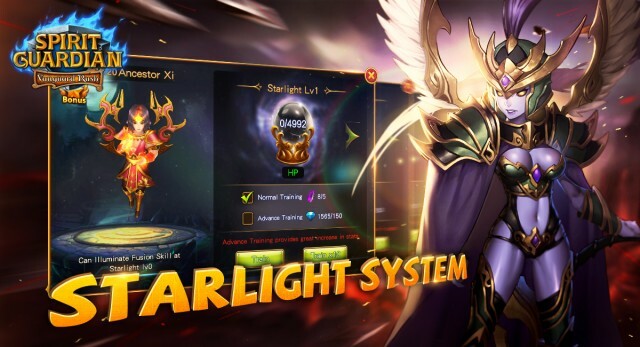 The introduction of Starlight System makes certain changes and brings much surprises & bonuses for time-limited heroes, they have risen up to a higher level. 1. 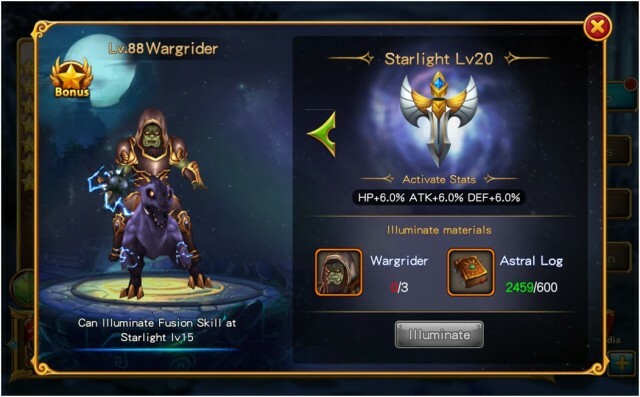 Only the time-limited heroes can be upgraded and lightened in the Starlight System, heroes include Zeus, Arwen, Revenant, Wargrider, Tripitaka, Naga, Whitefeater, Silverspear, Athena, Mikael, Lunar, Apollo, Emperor, Blackfeather, Lord Black, and Ancestor Xi. 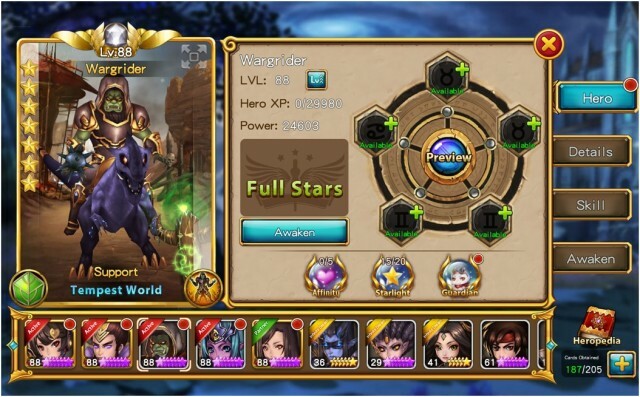 When the time-limited heroes achieve the level of Seven Star, the Starlight System will be unlocked. 2. There are twenty levels in the Starlight System, in each level, players can train one attribute of the heroes and upgrade the fighting force. 3. 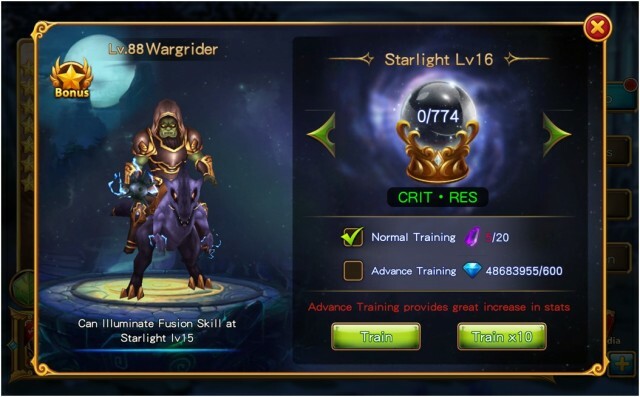 In a particular level, players can also light the Starlight Skills and enhance the probability of a hero to resist all kinds of control skills, thus making time-limited heroes play a role when confronted with enemies in any Camp. 4. 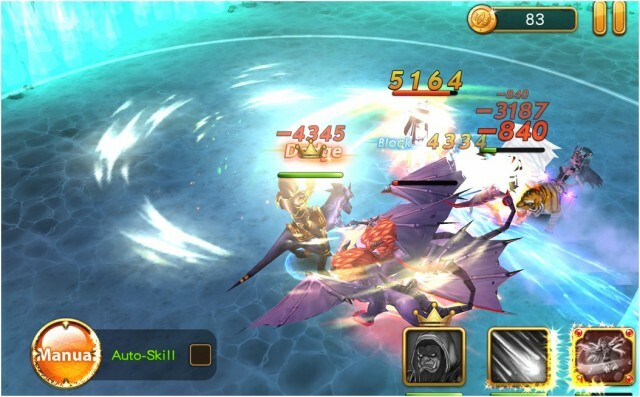 The most critical is that time-limited can illuminate Fusion Skills at a certain level, the fusion skill will be triggered with specific partners. 5. The fusion skills must be stronger than ultimate skills. In addition to the higher force, they have given special effects and can even reverse the battlefield situation with the fusion skills.